The Citizen – Page 2 – Write. Snap. Click. NOTE: Article first appeared on The Citizen website on October 16, 2014. The driver of the truck that ploughed into close to 50 cars on the N12 on the East Rand on Tuesday, was left in the lurch by his legal representatives at Palm Ridge Magistrates’ Court on Thursday afternoon. 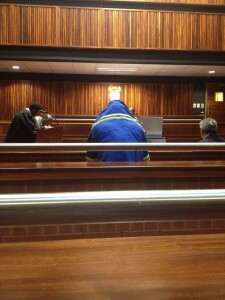 N12 crash truck driver Isaac Maruding in the Palm Ridge Magistrate’s Court. 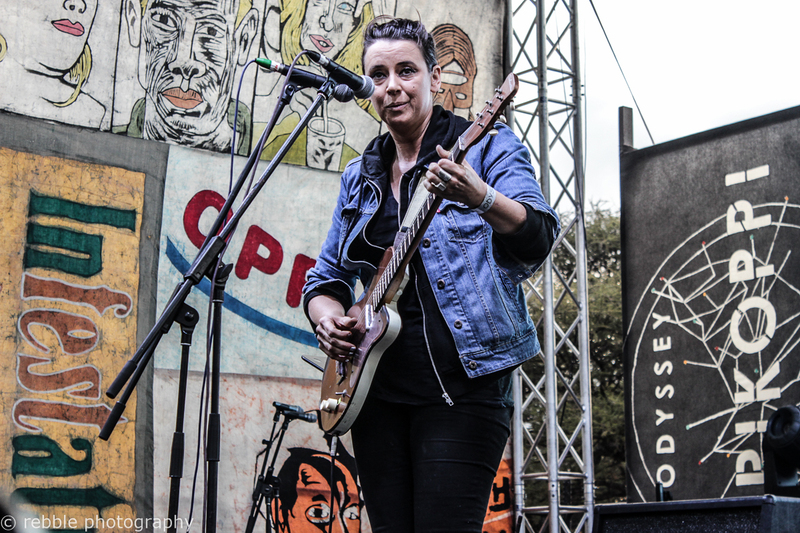 Pic: Tracy Lee Stark. Truck driver Isaac Maruding had his first appearance in court on Thursday. State attorney, John Ntuli applied for a postponement of the case to investigate further. Maruding, facing four counts of culpable homicide and one count of reckless and negligent driving, covered his face throughout proceedings. His representatives, advocate Gerhard Louw and Deon van Staden initially opposed the postponement, wanting to proceed with Maruding’s bail application. When Magistrate Samuel Hlubi denied the defences application, Louw asked to be withdrawn as his client’s representative. “We don’t have instruction to proceed with this case beyond today,” Louw said. Maruding has a previous conviction for both culpable homicide and reckless and negligent driving, and served time in prison for both, the court heard. The state asked for more time to properly compile information on those who died in the crash, Ntuli saying “additional charges” may be added in future. 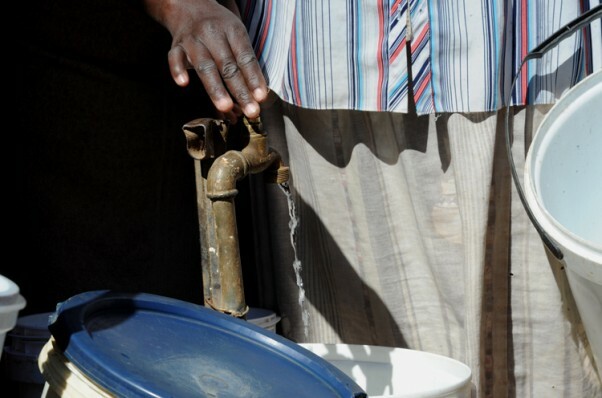 Hlubi postponed the matter until October 22, to give both the state and Maruding the time they need. Maruding now has to find alternative legal representation after the company appointed lawyers dumped him on Thursday. NOTE: Article first appeared on The Citizen website on October 14, 2014. 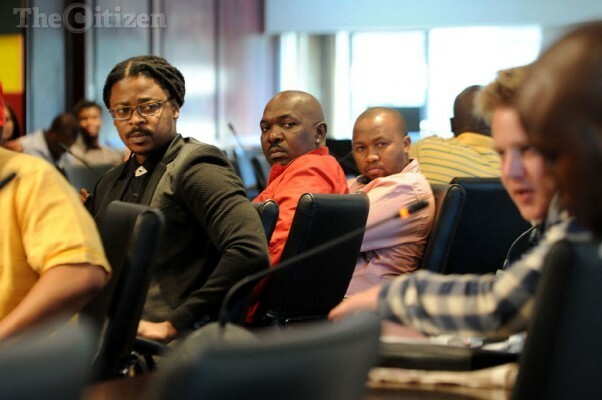 The 16 Generations actors who have now been without work for two months, took their matter to the Commission for Conciliation, Mediation and Arbitration (CCMA) today. They sought recourse from their employers, the SABC and MMSV Productions, for their collective dismissal. The 16 took the matter to the CCMA as the Generations Actors Guild (GAG) after prior efforts to negotiate with their employers failed. The actors’ legal advisor Bulelani Mzamo said it was important to remember that this process may be a long one. “There is a considerable amount of work that needs to go into demonstrating the basis of this claim to the CCMA – the CCMA, in turn, has its own process of how it responds to each claim, and their recommendation on the most suitable remedy to the dispute,” Mzamo said. Apart from the CCMA appeal, GAG now want to open a civil case against their employers “for a transparent calculation for the commercial exploitation fees owed to us for use of the episodes and our images”. The soapie which is now off air, is being rewritten – presumably with a new cast – and will return to screens in December. NOTE: Article first appeared on The Citizen website on October 9, 2014. Minister of Health, Aaron Motsoaledi said he is tired of the unnecessary “media frenzy” around the possible outbreak of Ebola in the country. Motsoaledi was speaking in Kempton Park, after a meeting with various stakeholders, who will be sending aid to West African countries affected by the deadly virus. So far all 14 people who have been tested for the virus have been negative. “We were testing them to settle nerves,” said Motsoaledi. He added that too much panic was being created in the media every time someone with a fever or bleeding was admitted to hospital. 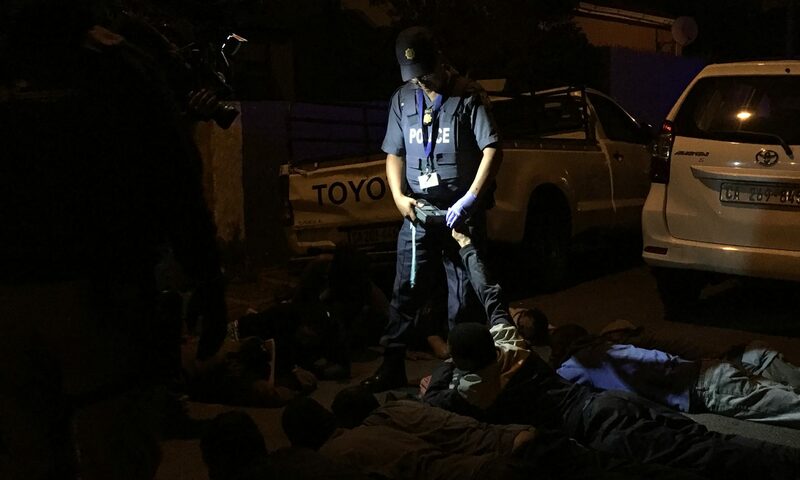 Professor Janusz Paweska, who has been part of a team deployed to assist medically in West Africa, explained why South Africa is not a high risk area at the moment. He said the extreme hunger in some of the affected countries forced people to hunt bats and other wildlife just to survive. “People are hungry out there”. A man who lost his sister when a guest house of the Synagogue Church of All Nations in Nigeria collapsed almost a month ago wants to take legal action against the church. Mpho Molebatsi said this week his “anger was directed at TB Joshua and his church”, adding the incident had left far too many people traumatised not to take further action. 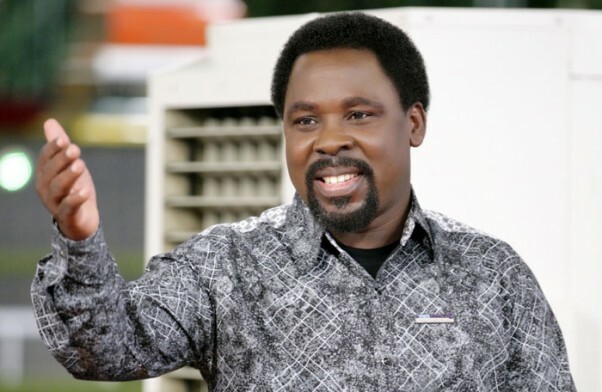 According to weekend reports, the evangelist pastor from Nigeria, TB Joshua, has sent teams to hand over gifts to the families of the 84 deceased South Africans. The gifts included money, anointed water and maize meal. But Molebatsi said he wanted nothing from the pastor. “You can’t pay for a funeral with that. He can take the R5 000 and shove it,” he said. Molebatsi’s sister, Hlubi, has not been returned to South Africa yet. Government spokesperson Phumla Williams said earlier this week Nigerian authorities were in the process of conducting DNA analyses on the bodies of the 115 people killed in the building collapse. The process of repatriating the bodies to South Africa had been slow, she said. The service provider may be South African, but that remains unclear. She said the Nigerian government had made it clear South Africa would not have access to the bodies. “They insisted we aren’t going to touch those bodies … even though they don’t have the technology to do some of the testing,” Williams said. The South African government has promised the bodies would be returned to the right families, but that might be difficult as it’s hard to get fingerprints from decomposing corpses. Molebatsi said the time families had been given for repatriation was a week or two, and they “could only hope” this timeline was accurate. NOTE: Article first appeared in The Citizen newspaper on October 7, 2014. A change in TV scheduling at SABC1 has seen Sepedi drama Skeem Saam more than double its viewership numbers overnight. As the last episode of Generations aired last week, Skeem Saam was catapulted into prime time. According to data from the SA Audience Research Foundation, a week prior to the drama moving from its 6.30pm time slot to 8pm, their viewership stood at 3.5 million per show on average. On the night the soapie occupied the 8pm slot for the first time on October 1, viewership shot to 8 881 352. By Friday last week, the third day in that slot, the number went down slightly to just over 7.6 million viewers. This was his answer amid fears that replacing Generations would have a negative impact on the massive ad revenue the show has managed to pull over the past 20 years. 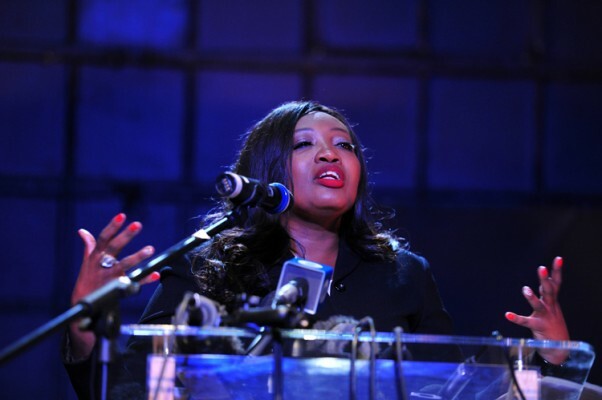 Meanwhile, shooting for the new-look Generations – which will be ready to air in December – will start on October 28. The striking 16 actors – all dismissed in August – are still going ahead with their legal action. “We have referred the matter to the CCMA (Commission for Conciliation, Mediation and Arbitration) and it will be dealt with on October 14,” said Desmond Brown, their legal representative. He claimed the actors had not been registered for UIF, despite all South African employers being obliged to register their employees. “When we contacted them on this issue they said the actors were not employees of the SABC or MMSV, which is why they weren’t registered for UIF,” Brown said. NOTE: Article first appeared on The Citizen website on July 27, 2014. Back in the good old days, people overseas related to four things regarding South Africa: the Springboks, heart pioneer Chris Barnard, golfer Gary Player – and Kyalami. 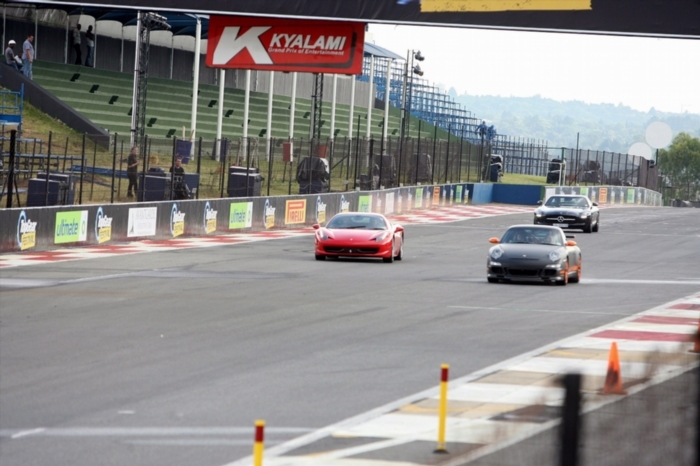 An auction in Hyde Park, Johannesburg, yesterday saw the historic Kyalami race track sold to Porsche SA for a whopping R205 million. Lead auctioneer Joff van Reenen took no longer than two minutes to wrap up the sale of the property to a telephonic bidder. Porsche SA CEO Toby Venter was in Cape Town when the sale was made. Lance Chalwin-Milton, joint managing director at High Street Auctions, said because the buyers were in the motoring industry, the race track would remain as is, with “possible development around the track”. This sale is the highest auctioned price paid for a single property in South Africa – the previous highest being R120 million, said Van Reenen. The Kyalami circuit was built in 1961, on a piece of land chosen by the late rally driver Francis Tucker, “because nobody would ever think of building anything there”. It was completed the same year and its first major race, the Rand Grand Prix, was won by Jim Clark in a Lotus Climax. Over the years, the circuit was widened, becoming a regular host of the F1 Grand Prix world championship. It was revered as one of the fastest circuits in the world, with F1 cars reaching higher speeds than on tracks like Monza, Spa and Silverstone. In 1988 it was cut in half and redesigned to its current shape. Its last F1 took place in 1993, won by Alain Prost in a Williams Renault, leading home Ayrton Senna (McLaren) and Michael Schumacher (Benetton). 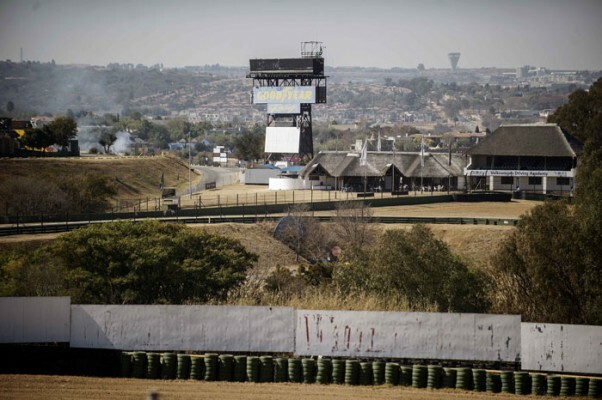 In between, the venue also hosted international sports car and truck races, superbike events and manifold rounds of SA championships for single seaters and saloon cars. Its last major international event was the final round of the 2010 World Superbike championship. NOTE: Article first appeared in The Citizen newspaper on July 2, 2014. 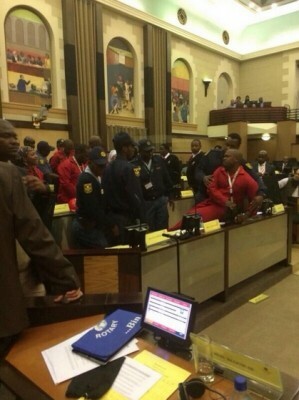 Two EFF MPLs were injured yesterday after being thrown out of the Gauteng Provincial Legislature for wearing overalls. Economic Freedom Fighters (EFF) spokesperson Omphile Maotwe who siad Benjamin Disolwane and Mgcini Faku were “manhandled” by security when they were being removed from the legislature. “Our chief whip (Faku) had his arm broken during the forced removal,” said Maotwe. The members and six others were asked to leave the legislature when they came dressed in their red overalls. The Speaker of the provincial legislature, Ntombi Megkwe said EFF MPLs were asked to “excuse themselves” after she explained to them that they were dressed inappropriately. When they refused to do so, she invoked Legislatures Act 4 of 2004 which gives her the power to evict members of the legislature from the proceedings. Parliamentary spokesperson Luzuko Jacobs said the National Assembly operated separately from any other Legislature. The National Assembly therefore allowed the EFF to attend the proceedings wearing their overalls. Party insignia and symbols are allowed in Parliament, he said. “Every legislature is empowered by law to impose its own rules,” said Jacobs. Deputy provincial speaker Uhuru Moiloa said they could “not allow anarchy to happen” by allowing any members to behave inappropriately by not sticking to the Guateng legislature’s rules and regulations. “The gimmicks of the EFF are an attempt to divert the legislature…Today was a waste of the nation’s time,” he said. Mekgwe shared her thoughts on the EFF’s red overalls, saying “this is not a garden”. 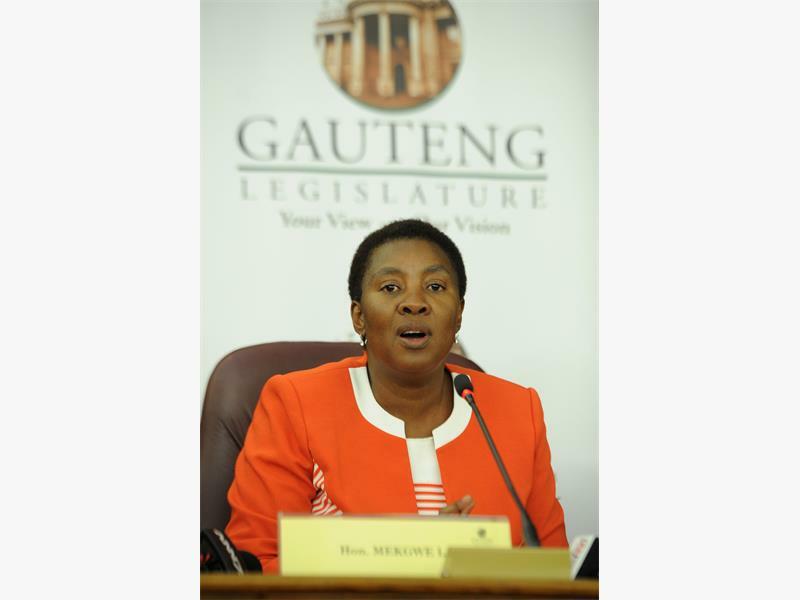 Speaker in the Gauteng Legislature Ntombi Mekgwe addresses a press briefing on the removal of EFF members from the legislature during a sitting in Johannesburg. She added that the legislature was a noble house and as such required appropriate dress code. She said “minimal force” had to be used to remove the two members. Mekgwe claimed she did not see any excessive force being used, she only saw one of the EFF members hitting a female security personnel with a “hot klap” during their eviction. She said this violence would be dealt with. Mekgwe said during the two week orientation that all MPLs were taken through earlier this year, the standing rules outlined matters of conduct and participation in the legislature and the EFF members had failed to abide by those rules. The EFF MPLs have not been expelled from legislature, however Mekgwe said the members would just need to dress appropriately to be allowed back into legislature in the coming days. Maotwe said the provincial branch of the EFF would be consulting “head office and will take the matter from there”. Late yesterday Mekgwe said the integrity commissioner would investigate the incident. “We are referring the matter to the integrity commission. They will advise us on how to move forward,” Mekgwe said. Gauteng police spokesperson Leutenant-Colonel Lungelo Dlamini said he would respond to the allegations only once a case had been opened.